Merve Kahraman cleverly uses Kvadrat fabric to create pattern on his Pontiac Mirrors. Handcrafted on wood and foam (sounds like a DIY project, doesn’t it? 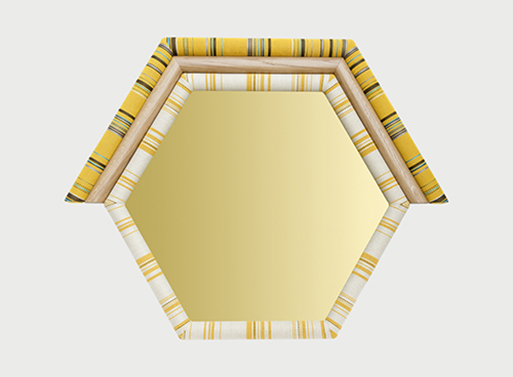 ), each mirror’s form is accentuated by fabric lines. A thin wood accent is meant to create an “earthy feeling,” further reinforcing the Native American vibe that serves as inspiration. If the price point is a bit too high for your liking, try making your own (and send me the pics!). 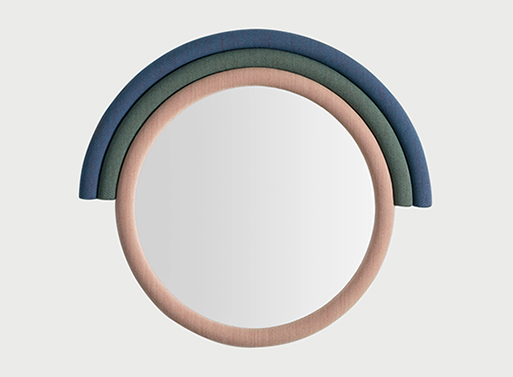 3 different colors of Kvadrat fabric on plywood and foam, clear mirror. Available from MATTER, $2,925.00 - 3,150.00.